Tom spends almost every day in a museum filled with nearly every kind of household vacuum from the last century. He also has talked with many manufacturers’ engineering and product support teams through the decades. That makes him uniquely qualified to identify the best features of every vacuum and tool. Here are three vacuum tool tips he offers. The Dusting Brush Can Be Your Be Your Best Friend. Use it for dusting hard surfaces like ceiling fan blades, wood blinds, air duct vents and baseboards. Trap the dust. Don’t spread it around with dusting cloths or feather dusters. The Crevice Tool Can Save You Hundreds of Dollars. 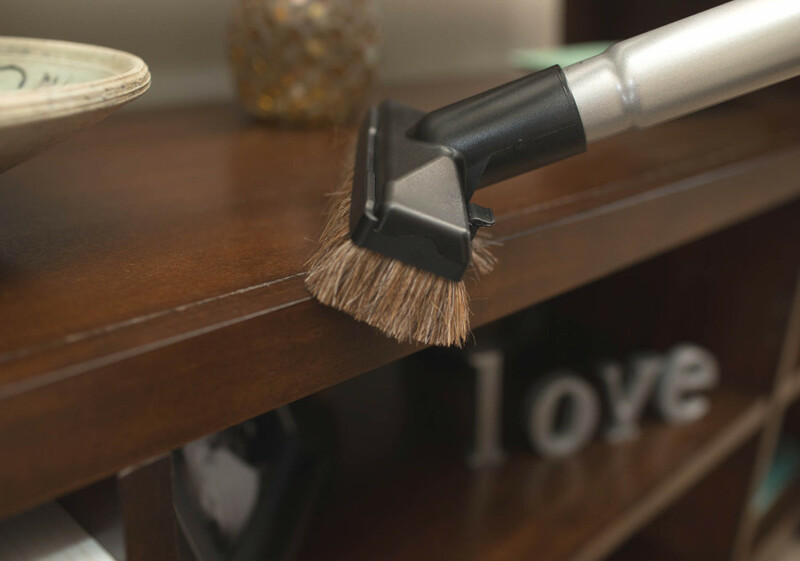 There’s No Better Method of Removing Dirt and Dust from a Bare Floor than with the Bare Floor Brush Attachment. If you can't wait for more tips from Tom, plan a trip to visit the Vacuum Cleaner Museum in St. Louis, Missouri. For more cleaning tips and articles, visit the Clean Advice page.